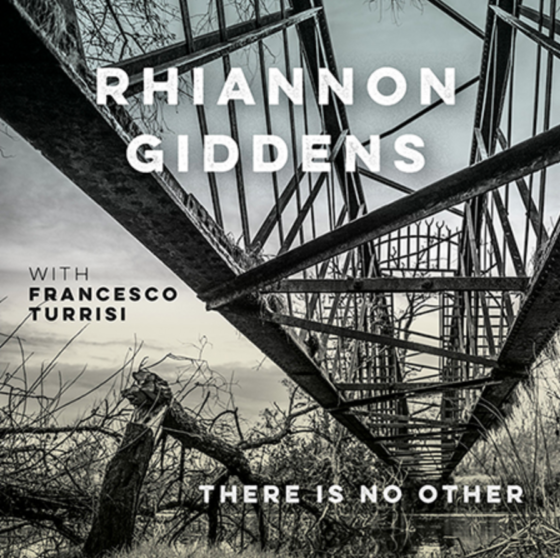 Rhiannon Giddens’ latest album there is no Other, recorded with Italian multi-instrumentalist Francesco Turrisi, is set for May 3 release on Nonesuch Records. Produced by Joe Henry and tracked over an intensely productive five day period in Dublin, Ireland, there is no Other is at once a condemnation of “othering” and a celebration of the spread of ideas, connectivity, and shared experience. Tracing the overlooked movement of sounds from Africa and the Arabic world and their influence on European and American music, there is no Other illuminates the universality of music and the commonality of the human experience. It primarily features only Giddens and Turrisi playing one or two instruments together. The album comprises a mix of original songs penned by Giddens and a diverse set of interpretations ranging from Ola Belle Reed’s “I’m Gonna Write Me a Letter,” and Oscar Brown, Jr’s “Brown Baby,” the Italian traditional “Pizzica di San Vito” to the aria “Black Swan” by Gian-Carlo Menotti. there is no Other was recorded with little editing and overdubbing. Giddens sings and plays minstrel banjo, octave violin, and viola. Turrisi plays piano, accordion, frame drum, tamburello, lute, cello banjo, daf, and colascione. They are joined on four songs by Kate Ellis on cello. The array of instruments reveal the sonic ties that bind between African, Arabic, European, and American cultures. Rhiannon Giddens is a celebrated artist who excavates the past to reveal bold and candid truths about our present. A MacArthur “Genius” Grant recipient, she has performed for the Obamas at the White House and acted in two seasons of the hit television series Nashville. She has been profiled by CBS Sunday Morning, the New York Times, and NPR’s Fresh Air, among others. Her acclaimed solo albums, Tomorrow is My Turn (along with the EP Factory Girl, produced by T Bone Burnett) and Freedom Highway, received 3 GRAMMY nominations; her work with the Carolina Chocolate Drops (which she co-founded) received a Grammy in 2010. Giddens is also featured in Ken Burns’ Country Music series coming to PBS this fall and will perform at concerts tied to the series in Nashville and New York City. Songs of Our Native Daughters, a collaborative album featuring Giddens that tells the stories of historic black womanhood and survival, was released on Smithsonian Folkways last month to rave reviews. Italian multi-instrumentalist Francesco Turrisi defies easy categorisation. Called “a musical alchemist” by the Irish Times, Turrisi is a Turin–born musician whose Dublin base reflects his global sensibilities. With his unique ability to fold early music, pan-Mediterranean modal melodies, and European flavored jazz into a single repertoire, Turrisi has developed a musical style that crisscrosses cultures and forges musical alliances that are, at once, old and familiar and startlingly brand new. He has performed and recorded with Bobby McFerrin, jazz icon Dave Liebman, early music group l’Arpeggiata, contemporary ensemble Bang on a Can, Irish sean-nós singer Roisin El Safty, and tarantella specialist Lucilla Galeazzi.